You are what you eat so therefore, the healthier you eat, the healthier you will be. Some patients using the ED drugs Viagra, Cialis or Levitra have reported sudden hearing loss (temporary or permanent), sometimes with ringing in the ears and dizziness. The FDA has asked manufacturers of these drugs to more prominently display warnings about this potential side effect. If you have sudden hear loss while taking an ED drug, immediately stop using it and seek medical attention. (Source: Janet Woodcock, MD, chief-medical officer, FDA's Center for Drug Evaluation and Research, Washington, DC. A study conducted by Naresh K. Panda, MS, DNB (Diplomate of the National Board of Examinations, New Delhi, equivalent to an MD), FRCSEd, professor and head, department of otolaryngology, at the Postgraduate Institute of Medical Education and Research in Chandigarh, India, which found an association between cell phone use and hearing loss. In his research, which was presented last September at the annual meeting of the American Academy of Otolaryngology -- Head and Neck Surgery, Dr. Panda and his colleagues found that people who had used cell phones for more than four years and who talked on them for more than an hour each day were more likely to suffer from high-frequency hearing loss (which can impact a person's ability to hear s, f, t and z sounds) than those who used the phones less. 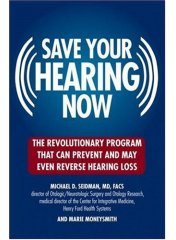 Though this early study only evaluated 100 people -- and only 30 qualified for the "more than four years of use" stipulation -- the hearing loss seems directly connected to the cell phones. Hearing loss was slightly higher in the right ear, which was the ear most often used when on the phone. Dr. Panda notes that he is hesitant to recommend dramatic changes in cell-phone use until larger studies can be completed. "Only further studies can rule out other environmental factors, like noise trauma, which could also contribute to hearing loss," he says. He points out that larger scale studies would also allow researchers to pinpoint what's responsible for the hearing loss, and if certain phone designs or hands-free devices could minimize the risk. In the meantime, he recommends heeding the warning signs of hearing damage -- ringing in the ears, a feeling of fullness in the ears or a warm sensation inside your ear -- while using the phone. If you experience these symptoms, end your call -- and make fewer of them. In a recent study, researchers took people with age-related hearing loss and tested their hearing at various frequencies. They then gave patients 600 mg a day of vitamin C and 300 mg of the ulcer drug rebamipide. Result: in just 8 weeks, every single patient was able to hear better in the frequencies between 125 and 800 Hz. These frequencies are well within the range of human voice. The drug rebamipide is chemicaly similar to antioxidant compounds called quinolones. In fact, the reason it works against ulcers is that it protects the stomach from free radicals that are produced b the H pylori infection, which causes ulcers. Convinced by emerging evidence that nutrients can effectively block one major factor in hearing loss after noise trauma - inner ear damage caused by excessive free radical activity - Miller has launched a U-M startup company OtoMedicine that is developing the vitamin-and-magnesium formulation. "These agents have been used for many years, but not for hearing loss. We know they're safe, so that opens the door to push ahead with clinical trials with confidence we're not going to do any harm," says Miller. The formulation the researchers used built on earlier animal studies showing that single antioxidant vitamins were somewhat effective in preventing hearing loss, and on studies of Israeli soldiers given magnesium many days prior to exposure, who gained relatively small protective effects. In the U-M study, noise-induced hearing loss was measured in four groups of guinea pigs treated with the antioxidant vitamins A, C and E, magnesium alone, an ACE-magnesium combination, or a placebo. The treatments began one hour before a five-hour exposure to 120 decibel (dB) sound pressure level noise, and continued once daily for five days. The group given the combined treatments of vitamins A, C and E and magnesium showed significantly less noise-induced hearing loss than all of the other groups. "Vitamins A, C and E and magnesium worked in synergy to prevent cell damage," explains Colleen G. Le Prell, Ph.D., the study's lead author and a research investigator at the U-M Kresge Hearing Research Institute. 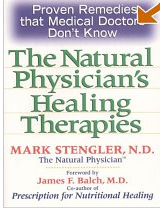 According to the researchers, pre-treatment presumably reduced reactive elements called free radicals that form during and after noise exposure and noise-induced constriction of blood flow to the inner ear, and may have also reduced neural excitotoxicity, or the damage to auditory neurons that can occur due to over-stimulation. The post-noise nutrient doses apparently "scavenged" free radicals that continue to form long-after after this noise exposure ends. In the past 10 years, scientists have learned that noise-induced hearing loss occurs in part because cell mitochondria in the ear churn out damaging free radicals in response to loud sounds. "Free radical formation bursts initially, then peaks again during the days after exposure," explains Le Prell.